There are some fun and inexpensive ways to increase sales when you become a distributor. A distributor is an exciting home business to have either part time or full time. The more items that you are able to distribute the more successful your business will be. 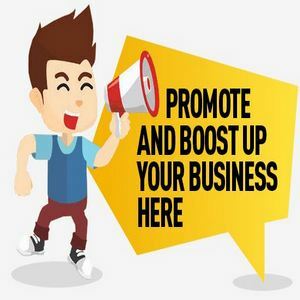 Increasing sales through effective and low-cost methods is one of the ways to help promote and turn your home business into a very profitable second income. In fact, many people are able to be a distributor as a full time income after they have gotten fully established. One way to increase your sales without costing you a single cent is through a technique known as suggestive selling. Suggestive selling is suggesting a complimentary product or item to go with the customer’s order. For example, if you order a fast food meal the cashier will often ask you if you would like a dessert with it or if you would like to make it a large. The cashier is following suggestive selling. How would you do this as a distributor? You can verify your customer’s orders for your products and services with a thank you letter or a confirmation letter through the email. When you write the letter, you can suggest another product or item to go with it. If you automatically process orders, you can have a section on the order confirmation page suggesting that the customer purchase a gift box for their item to be shipped or perhaps that they sign up for a paid electronic magazine that covers the topic of the type of products you distribute? Another great technique for increasing sales is to offer free shipping and handling. This will enable customers to receive your products without being charged additional money. In the majority of businesses you can deduct the cost of shipping and handling from your taxable income and profits. This means that free shipping and handling does not end up costing you anything in the long run. In fact, many people will not make an Internet purchase if there is not free shipping and handling offered by the Web store. Provide a free gift with a minimum purchase. This will increase the potential for sales because often people will buy more than they normally would have because they like the free gift and want to receive it. For example, if you distribute nutritional supplements you could offer a small skin cleanser or a free nutritional supplement bar with a minimum order of $25. The profit that you make from the minimum order should exceed the wholesale cost of the item you are giving for free. Distributing wellness and health products is an excellent home business because there are many inexpensive items that you can offer as free gifts with minimum purchases to increase your over-all sales on the Internet. Another option for a free gift is to offer the buy a minimum number and receive a free gift. For example, you can offer every fourth product is free as long as it does not exceed the cost of the lowest priced item. You will more than make up the difference for the wholesale cost of the item and you will ensure that the customer orders a minimum of three products that you have to distribute. This is an excellent way to increase your sales and keep your customers happy. Consumers enjoy getting bargains and receiving free items. If you are a distributor for wellness and health items, you can easily cover the cost of the free item with what you will pay as wholesale prices.